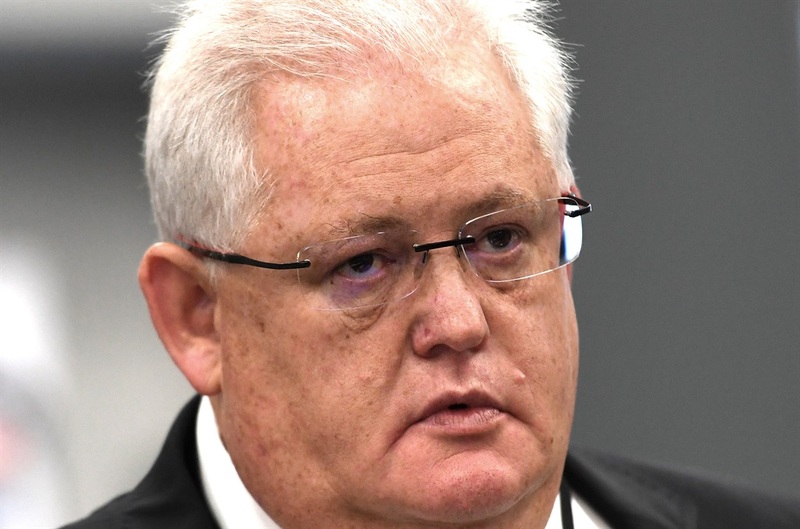 Former Bosasa chief operating officer turned whistleblower, Angelo Agrizzi told the Zondo commission of inquiry that R2.2m was paid by the facilities management company towards former correctional services boss Patrick Gillingham's divorce settlement. Agrizzi was testifying before inquiry chairperson, Deputy Chief Justice Raymond Zondo, on Thursday. He said CEO Gavin Watson told him to take care of Gillingham's wife because "hell hath no fury like a woman scorned". "If you were doing something for Watson he would go out of his way to look after you," Agrizzi said. But the divorce settlement was not the only thing Bosasa (now African Global Operations) did for Gillingham, according to the evidence. Agrizzi told the commission his relationship with Gillingham was strictly on instruction from Watson and Bosasa's Danny Mansell. When Mansell moved to the United States of America, he was instructed to "deal" with Gillingham, Agrizzi testified. He said that he was instructed by Watson to attend to everything Gillingham wanted. Agrizzi also told Zondo about a "critical" phone call he allegedly received from Gillingham in early 2009. "I got this call that the SIU (Special Investigating Unit) had raided him. More importantly, he told me they had done such a good job that they found cash," Agrizzi testified. The SIU had also came across a Consilium business card that his name was on, Agrizzi told Zondo. When he informed Watson, he was instructed to visit Gillingham to calm the storm. He said soon after this, he met with Gillingham at a restaurant where Gillingham told him that he had been suspended from the Department of Correctional Services. But Gillingham was more concerned about his pension fund than his suspension. Agrizzi said the following morning, at about 06:30, Watson told him to accompany him to former correctional services commissioner Linda Mti's house. After the meeting, they arranged to see Gillingham at a hotel and he was promised that he would still receive his pension. "Patrick's biggest concern at that stage was his pension fund. He wasn’t worried about losing his job because he knew he was getting a R110 000 from Bosasa coming up. So, he wasn't concerned about that. "Gavin said to him: 'Patrick, you don't need to worry. Even if Bosasa has to stand in and cover the pension fund, we will do it.' As a matter of fact, in the car on our way back we had a discussion about it and Gavin said I must just find out how much it is and we should just make contingency available." Agrizzi told the commission that when Gillingham was suspended and ultimately resigned, Bosasa paid him R110 000 monthly. The initial payment to Gillingham when he was still employed was R47 500, he said. Agrizzi, Gillingham, Mti, Bosasa chief financial officer Andries van Tonder, current Bosasa employee Carlos Bonifacio and senior staffer Frans Vorster were arrested in February. The charges against them include contravening the Public Finance Management Act and the Prevention and Combating of Corrupt Activities Act. The charges stem from a decade-old SIU report handed to the NPA in 2009, which found an improper and corrupt relationship existed between Bosasa, Gillingham and Mti. They appeared in the Pretoria Specialised Commercial Crimes Court on Wednesday and their case was postponed to July 5. Agrizzi is expected to continue with his testimony on Friday.